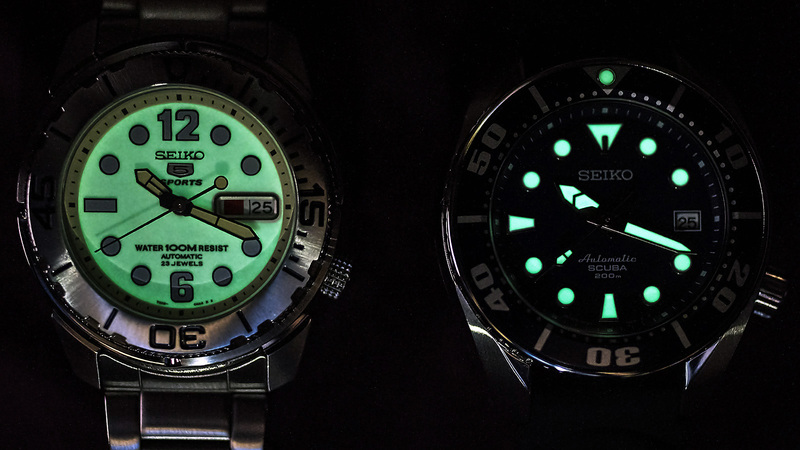 Released in 2006, Seiko Sumo models SBDC001 black, SBDC003 blue, SBDC005 orange remain as fantastic options for a commercially manufactured larger cased ISO diver. 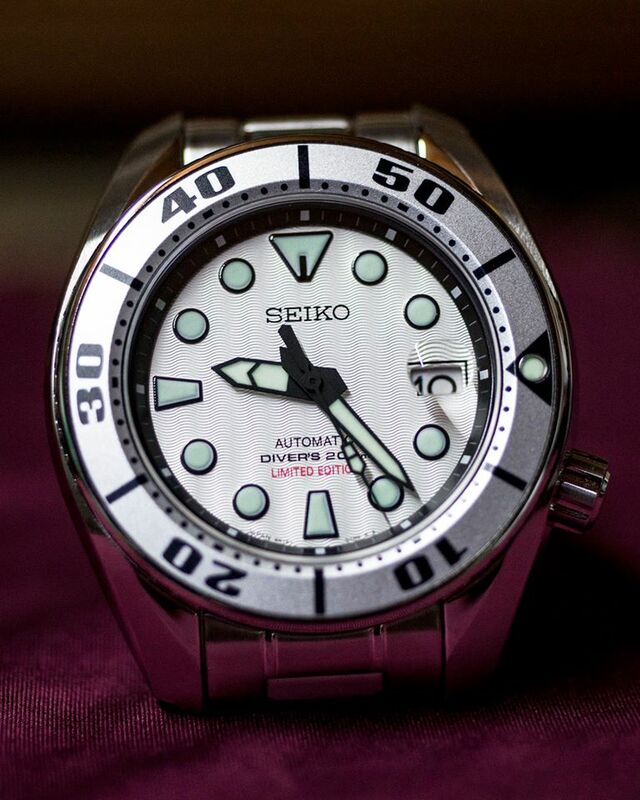 This Seiko Silver Sumo is 25th Year King Power Edition. Released in October 2014, only 1965 pieces are available. 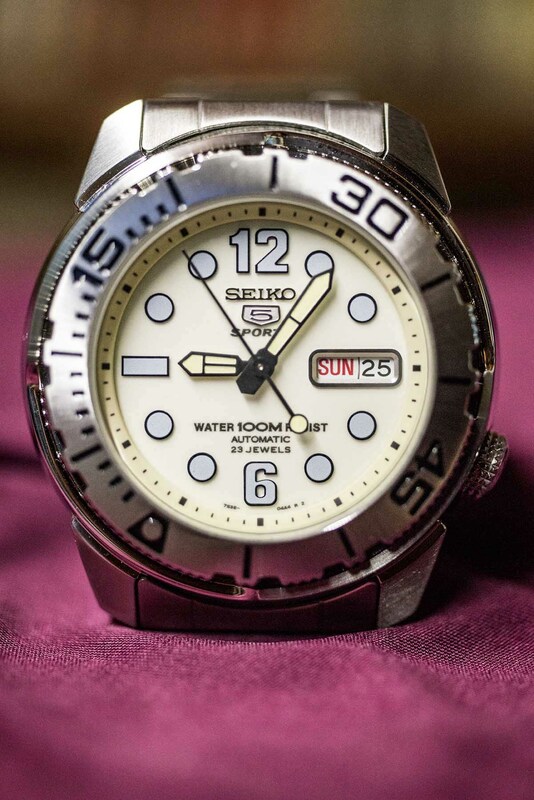 Seiko Caliber 6R15-02S0 Mechanical Movement. Hack, Automatic and Hand Winding. 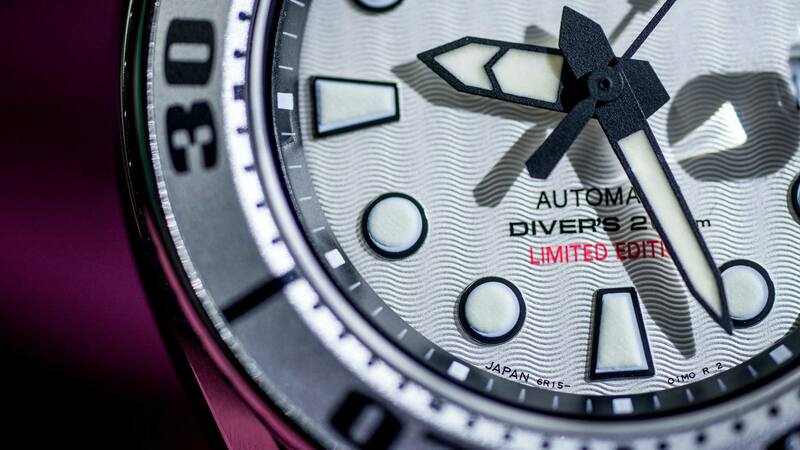 Up to 50hrs Power Reserve. Sapphire Crystal with Magnifying Glass. 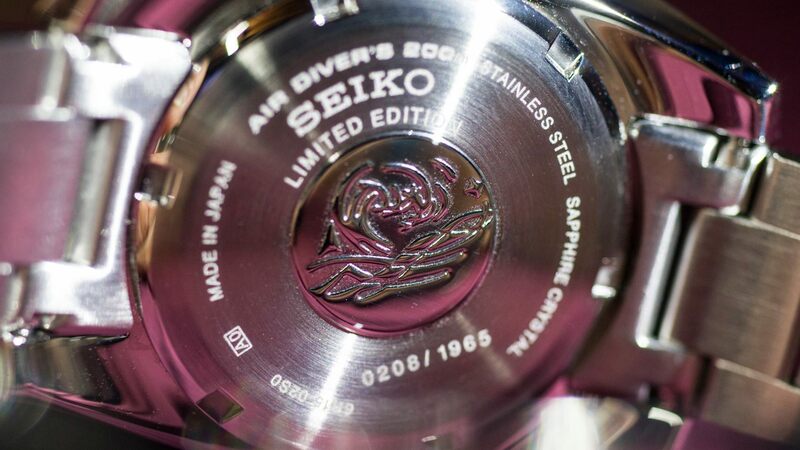 Stainless Steel Case, 44mm Diameter Including Crown. Stainless Steel Bracelet with Extra PU Diving Strap.